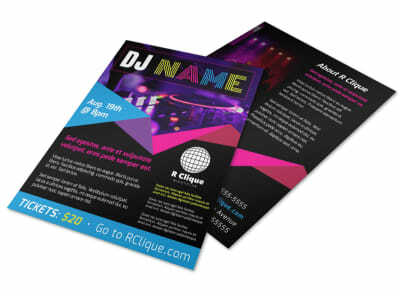 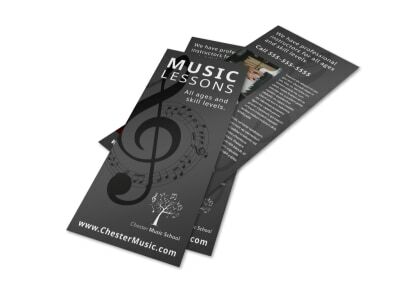 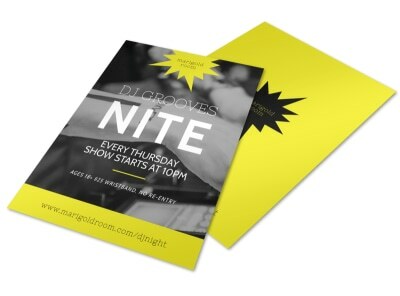 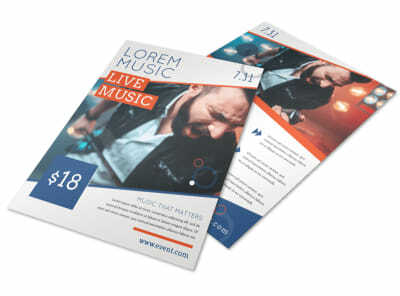 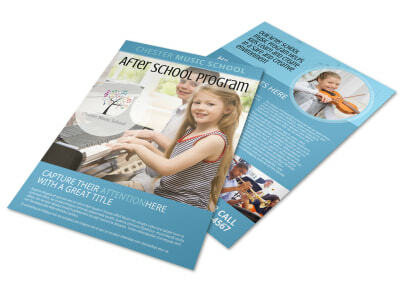 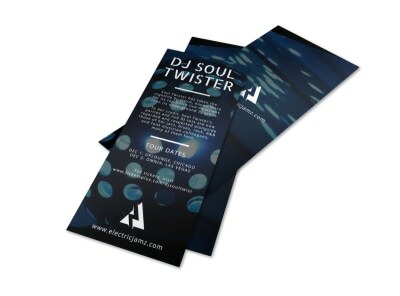 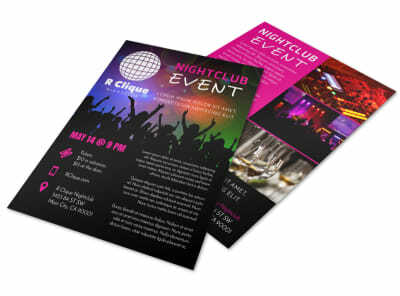 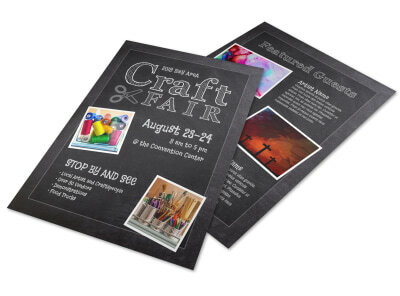 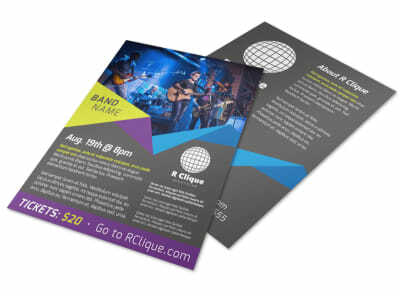 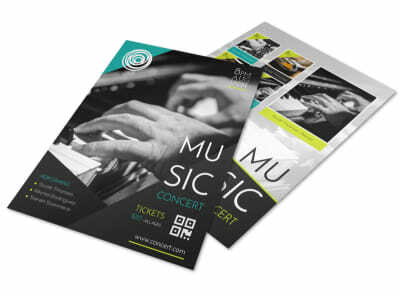 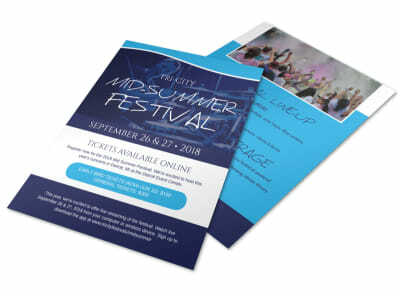 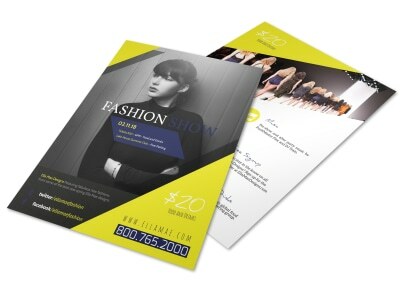 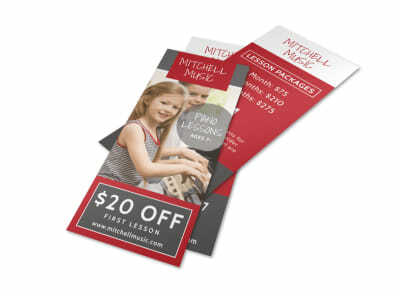 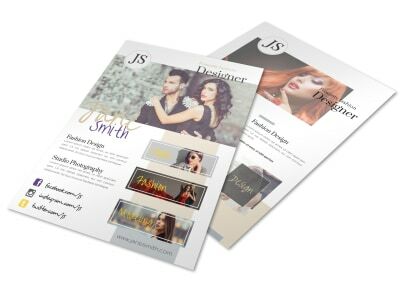 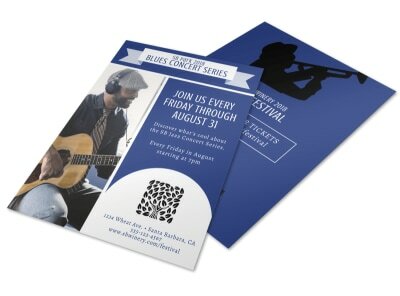 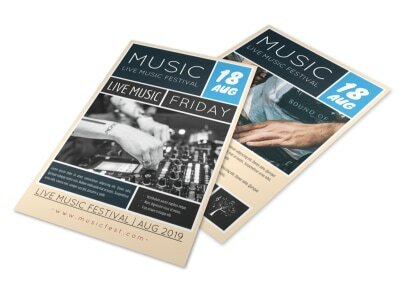 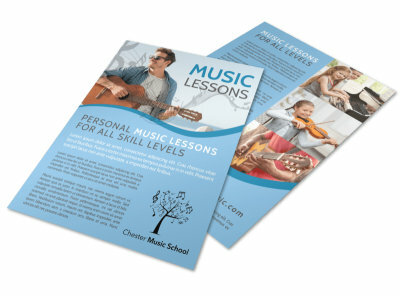 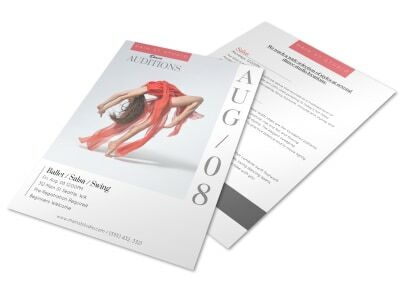 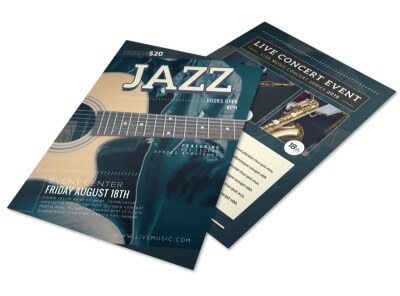 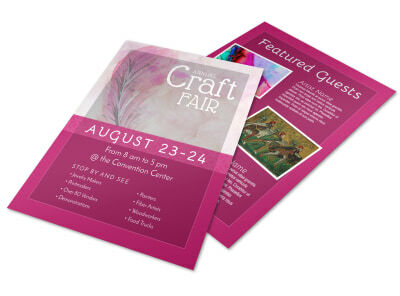 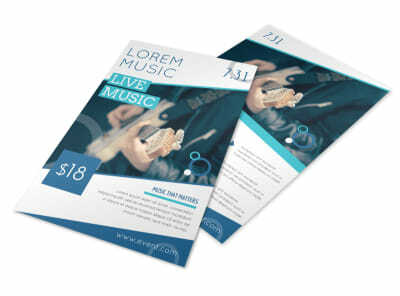 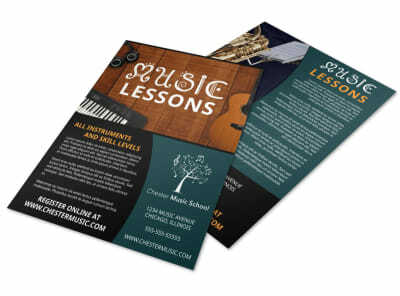 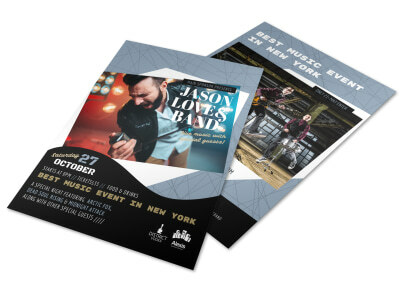 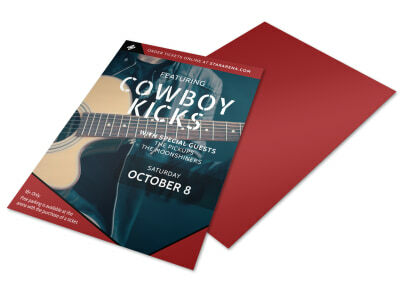 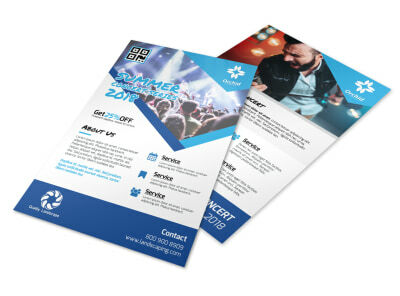 Go old school with your marketing message with flyers customized in our online editor using these music and art flyer templates. 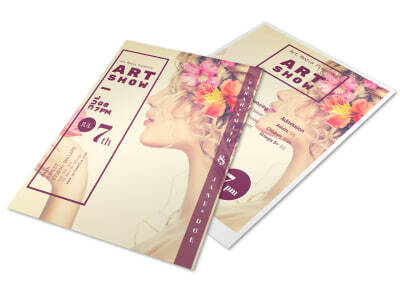 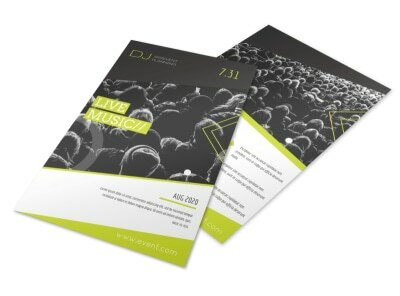 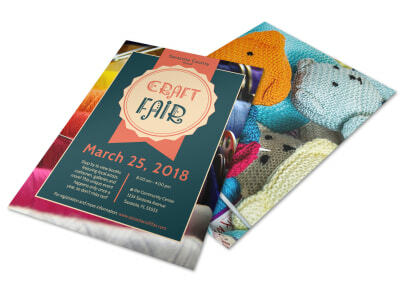 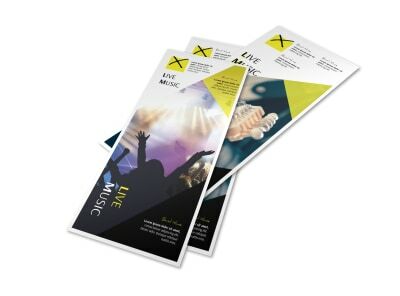 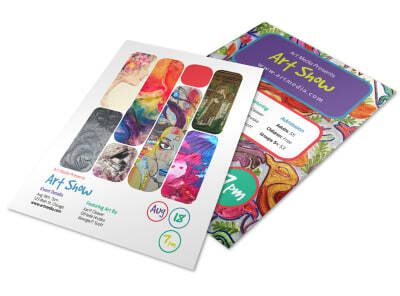 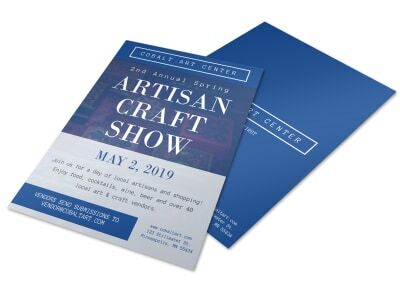 Drum up support for your band, or create buzz for an upcoming music festival, concert, or art show with flyers you make using our online editor. 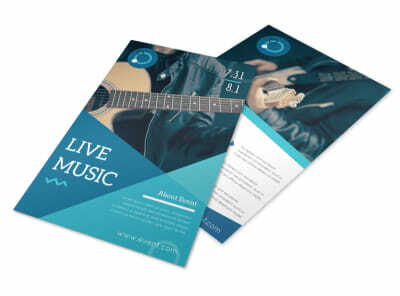 Add your text, photos, graphics, and artwork to really make your design sing, and then manipulate the elements of your design with just a few clicks of your mouse. 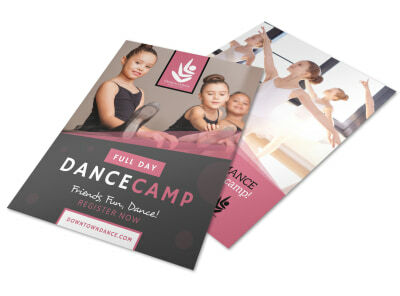 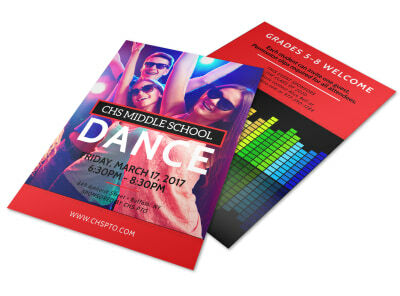 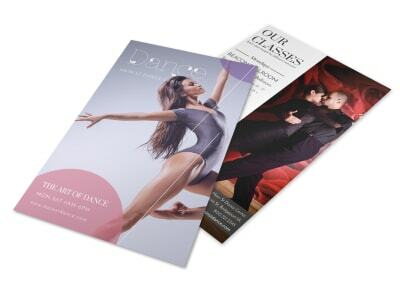 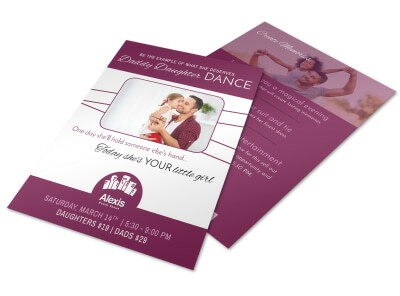 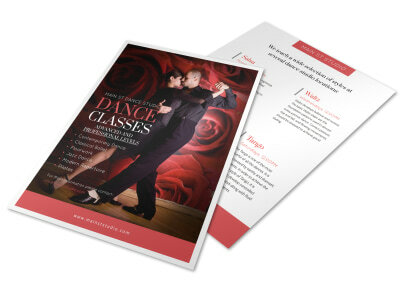 With our editor, it doesn't matter if you need dance flyers to promote a school dance or national dance competition we have you covered! 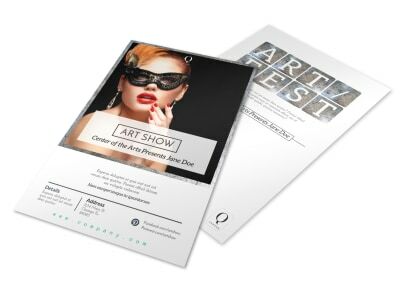 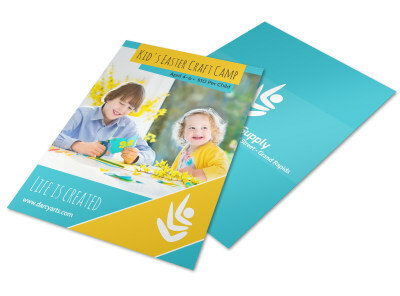 when you’re ready for printing, let us do it for you or opt to print your flyers from your own location to get them in hand quickly. 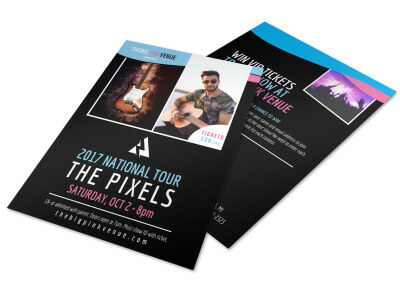 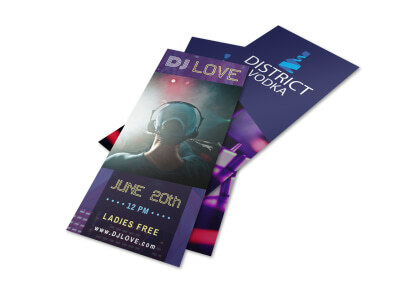 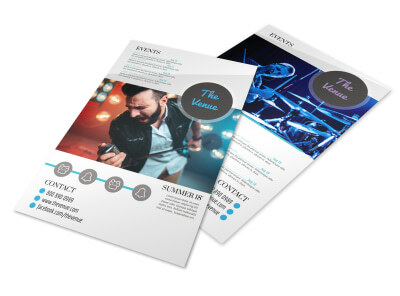 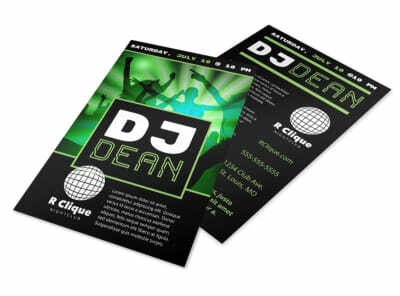 If your band just booked an awesome gig at your region’s version of the Viper Room or House of Blues or is a regular fixture onstage at the local watering hole, your fan base and ticket sales will see a big boost when you put custom-designed band flyers in the hands of your most die-hard followers. 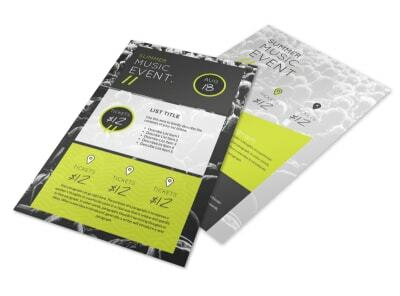 You know the ones – they’re front row (or backstage) at every concert, they sing along and know every lyric, and their cell phone “lighters” never go dim. MyCreativeShop’s professional graphic designers have created a full set-list of electrifying band flyer templates that are just waiting to be cranked up to an 11. 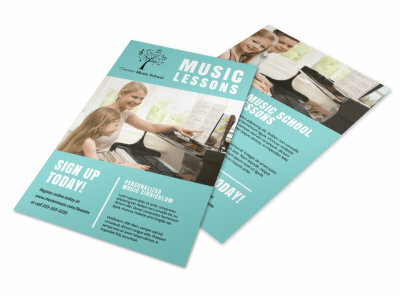 Use our online editor to ensure it’s in tune, then print and share! 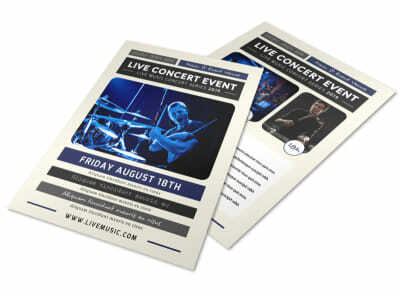 No musical act wants to play to an empty (or nearly empty) house – spread the word about your upcoming battle of the bands or summer rock festival with an easily distributed (and quickly duplicated) custom-designed concert flyer that can make the rounds through your local music community. 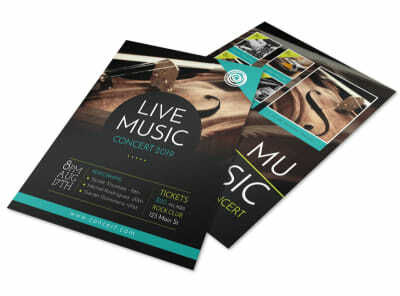 Choose one of our professionally-crafted concert flyer templates, then use our online design editor to make it your own with photos, logos, graphics, and colors. 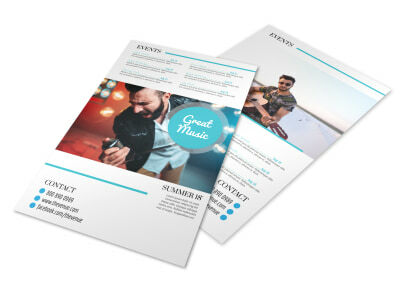 The finished PDF is yours to print whenever you need it, making it easy to follow your first set of welcoming flyers with a much-anticipated encore!